Yoga Unchained: Expressive Arts Module B for the first time! ​Dancing Mindfulness is practice that uses dance, within the total approach of expressive arts therapy, to cultivate a mindfulness practice and share it with others. The training course is open to all individuals working with the public in a clinical or wellness capacity. In our core of trained facilitators, we have psychotherapists, counsellors, psychologists, social workers, educators, professors, classroom teachers, yoga teachers, meditation teachers, and other fitness/wellness professionals. To learn more about the Dancing Mindfulness practice before registering you are encourage to visit our page, About the Practice. There is also a video to purchase, several online sample videos, and a book that you can check out to learn more about the practice. Our facilitator training intensive focuses on a combination of building one's own personal practice and then empowering practitioners to share it with others in their settings if they are called. The training will be offered by itself or in combination with the Yoga Unchained Facilitator training, taking place July 26-28, 2019. 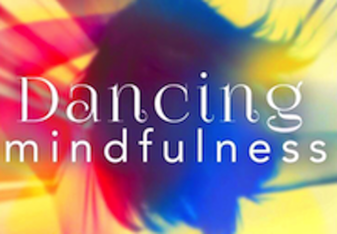 Attendance at all sessions of the Dancing Mindfulness Facilitator Training is required to receive the Dancing Mindfulness Facilitator Certification through Dr. Jamie's training organization, The Institute for Creative Mindfulness. You may be eligible for continuing education in your profession. Please click HERE for more information.